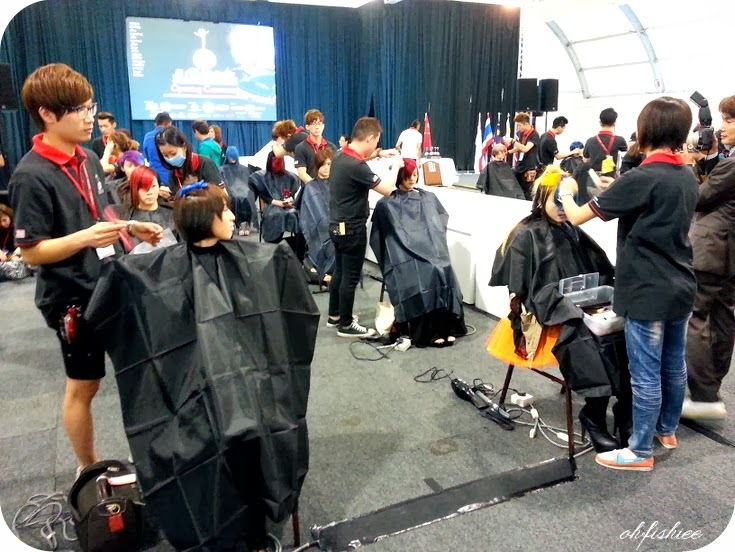 Asia Pacific Hairdressers & Cosmetologists Association (APHCA) member countries were here in Kuala Lumpur Convention Centre, Malaysia for the 17th Asia Pacific Hair & Make-Up Olympics. 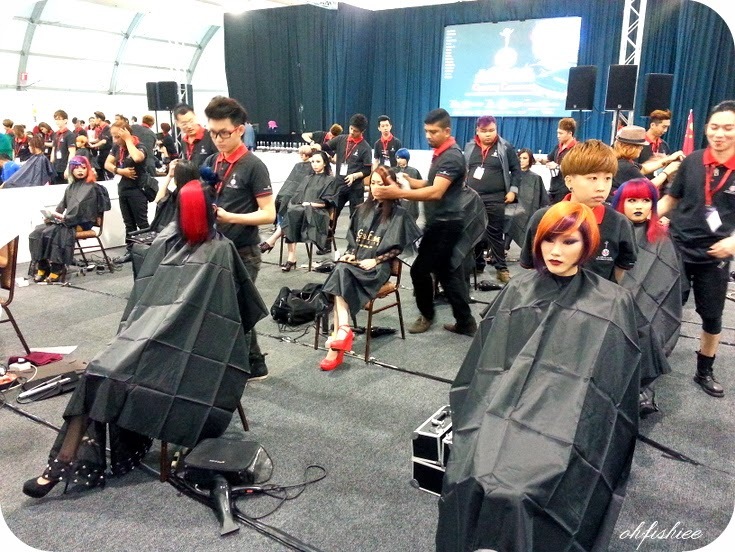 It is an annual event to strengthen and unite the hair and beauty practitioners in Asia Pacific. APHCA currently has 18 members in Asia Pacific. Malaysia became a member country 3 years ago and this year we were proud to be given this opportunity to host such huge event, in collaboration with Malaysia Convention & Exhibition Bureau (MyCEB). ...introducing the country leader and representatives from countries around the Asia region: Japan, Korea, Hong Kong, China, Taiwan, Australia, Cambodia, Indonesia, Sri Lanka, Mongolia, Thailand, Philippines & Singapore. 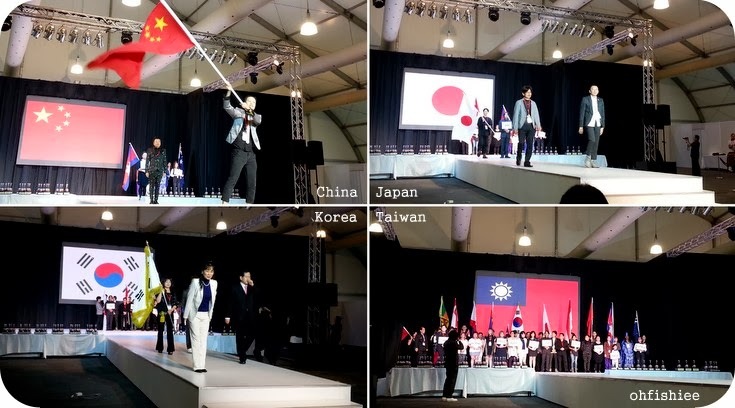 Country leaders can bring as many contestants to compete, with the requirement that the contestants have won any internationally-recognized competitions. 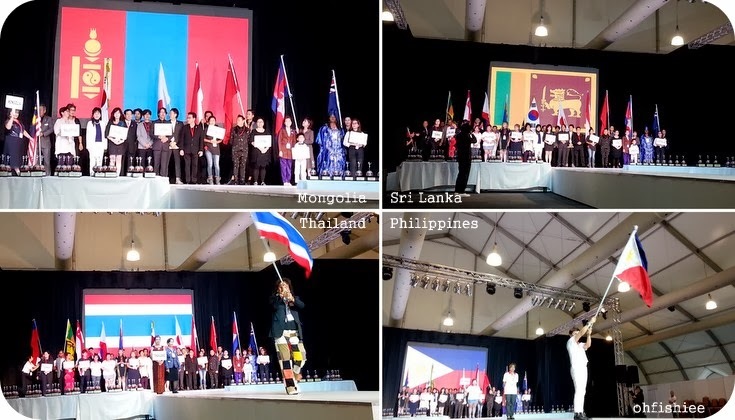 Over 500 contestants from 14 countries made it for this competition, and we were glad that all 18 country leaders were here to show support although some did not send any participants. 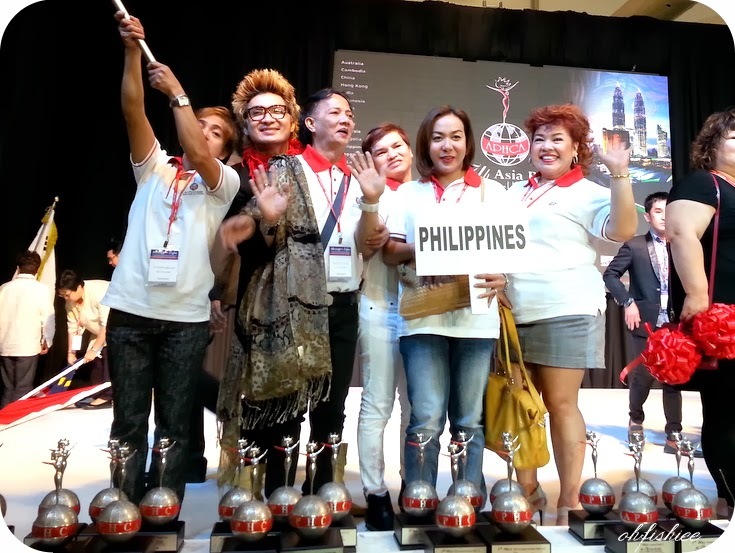 Being a host country, Malaysia has over 100 local contestants for this event, and therefore created a new category award. 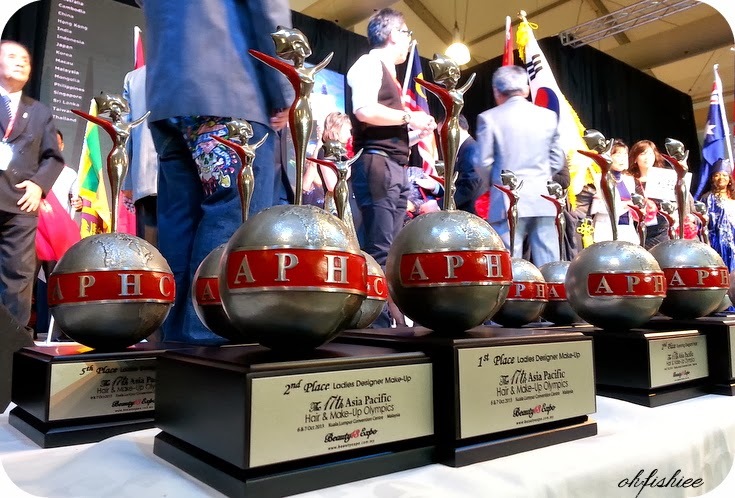 As a motivation and appreciation for their efforts, additional award would be given for Country Champion of each category. This year the contestants were paired up to compete for different categories. Each group consisted of a model, hairdresser and makeup artist. 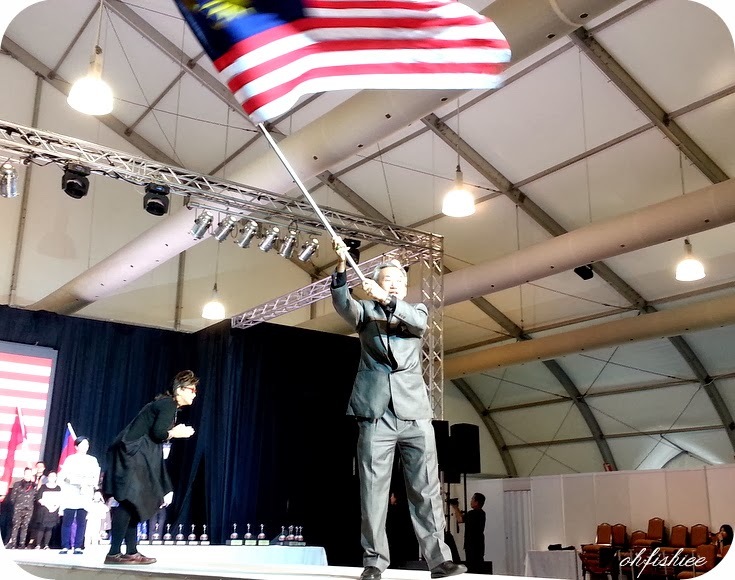 During the opening ceremony, I could feel the vibrant and lively atmosphere as lots of their friends and family flew all the way to Malaysia to support them. One of the contestants of the day. Probably for the "fantasy" category I guess. 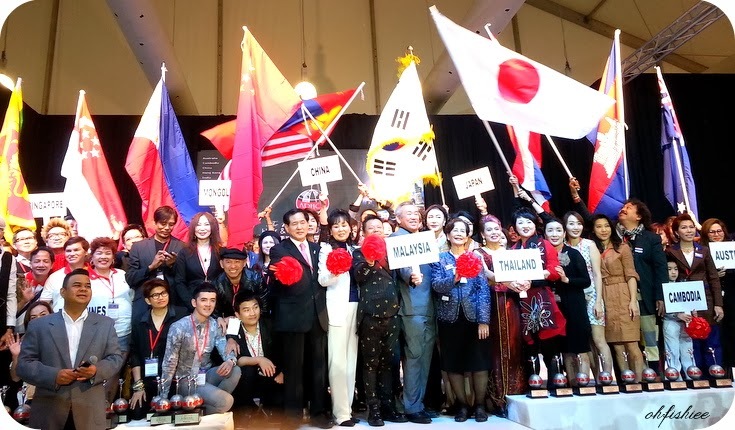 More than 70 judges from foreign countries were present for this spectacular event too. They would be walking around to observe the contestants as soon as the competition commenced. I wowed at the stunning look of the models. Although I couldn't stay longer to see who walked away as the grand winners. but I was told the event was a great success. Looking forward for the 18th Asia Pacific Hair & Make-Up Olympics Competition at Thailand! For more information, kindly visit www.aphca.com.my. Hi, do you have more pictures? I'm actually one of the models and wondering if you have a pic of me? Can you please email me at sheralyssa@gmail.com. Thanks! yea really have fun ... will join again next year .... .